There have been some impressive debut novels this year. Judges for the next Branford Boase Award should have no trouble arriving at a strong shortlist. 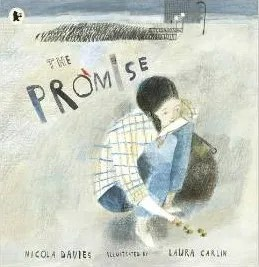 One book likely to be in contention is this highly atmospheric story about the relationship between a boy and a semi-vagrant war veteran called Webster. 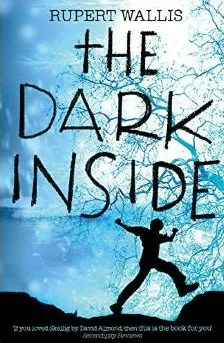 A poignant debut novel, The Dark Inside is the touching story of a thirteen year old coming to terms with the death of his mother as well as an exciting, mysterious and dramatic adventure. When James finds a man covered in terrible wounds living in the ruined house that he runs to in order to escape his step father, he begins an complicated journey in which the real readily becomes magical and the supernatural is never far away. The lessons James learns about change are thought provoking. I particularly liked the way the book posed philosophical questions along the way. The author read Theology at Cambridge. 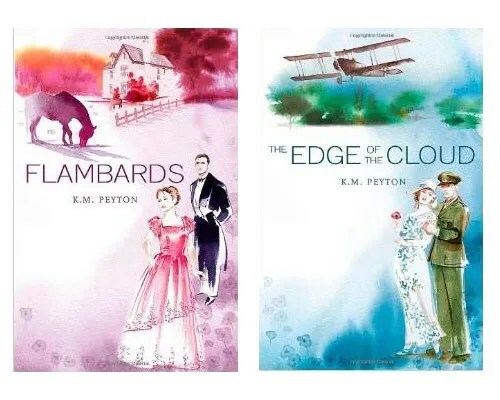 Flambards and The Edge of the Cloud by K. M. Peyton were both reissued and rejacketed by Oxford Children’s Books this year. 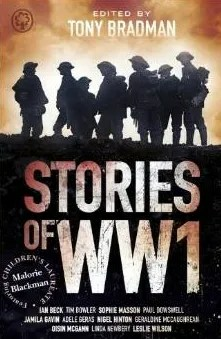 First published in the late 1960s and set around the period of WW1, this pair of novels will appeal to readers who fancy a change of tempo and mood from brash contemporary teen fiction. 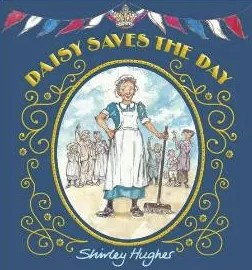 They can also be appreciated by adults who enjoy reading Edwardian period fiction filled with horse riding and plane flying. Peyton’s writing is immaculate. 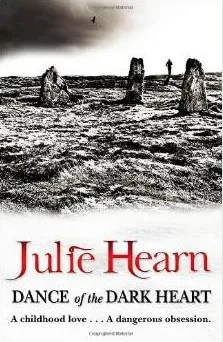 The second book was awarded the Carnegie Medal. A third Flambards novel appeared soon after, and a fourth title a few years later. 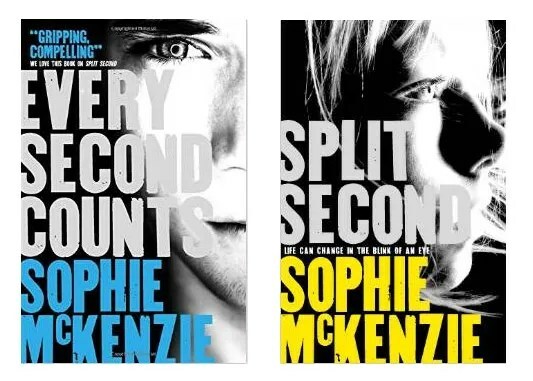 Simon & Schuster have packaged these two Sophie McKenzie thrillers really well. The book jackets, designed by Nick Stearn, are superb. So how about giving both titles together? These are highly topical thrillers with a plotline that involves extremism, terrorism and bombing. But they have a reputation for being unputdownable, so if you give them to a family member prepare not to have much interaction with them once they start reading. 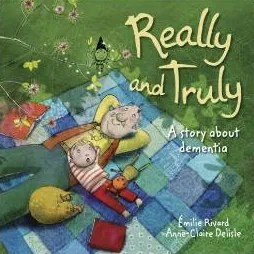 Really and Truly, A story about dementia by Emilie Rivard & Anne-Claire Delisle. The author and illustrator are French-speaking Canadians and this book was first published in Canada (in French as Vrai de vrai, papi) in 2011. The story of a grandfather who amuses his grandson with imaginative stories about pirates and gnomes, and who then has to be amused back into some form of life and animation by the same child recreating some of their fantasy games is charmingly told and charmingly illustrated. I just wish there had been the confidence in an audience’s capacity to understand without the need for that explicit subtitle and several jarring references to an ‘awful disease’ in the text. I always think short story anthologies make ideal presents for young readers, especially when you can’t be sure what books they have already read, or might be given by somebody else. Each story has been specially commissioned for this collection so they won’t have been read anywhere else, even if the recipient is already a fan of several of these authors, as well they might be. It’s a wonderfully well curated anthology, with full notes on all the contributors, as well as an Introduction and Editor’s Note by Tony Bradman himself. An affecting picture book for older children, well-received in hardback last year, and now in paperback. He keeps his promise and travels from city to city, planting the acorns. Slowly they flourish and the cities become lively, colourful places once again. Not a particularly seasonal book, but foll of genuine Christmas spirit. A book author, illustrator and publisher can be proud of.